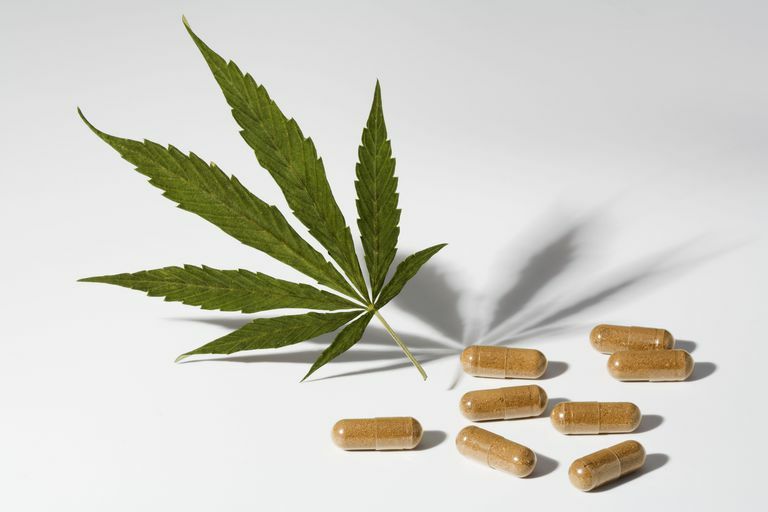 Medical marijuana is a controversial issue—socially, legally, and politically. However, scientific evidence continues to mount suggesting that it could be a safe and effective treatment for numerous pain conditions, including fibromyalgia. We have some synthetic versions of tetrahydrocannabinol (THC) on the market, which is the substance associated with the "high" of marijuana. Studies suggest, though, that other compounds in the plant may have therapeutic value as well. Before discussing the specific effects of medical marijuana on fibromyalgia, it helps to know a little about something called the endogenous cannabinoid, or endocannabinoid, system. "Endogenous" refers to something that originates from inside your body—something that's naturally there. "Cannabinoid" comes from the word cannabis, which is the technical name of the marijuana plant, and refers to parts of your body that react to cannabis. We all have natural cannabinoids in our body, and more can be introduced by smoking or ingestion of marijuana or synthetic versions of it. A 2004 paper on the endocannabinoid system proposed that fibromyalgia, irritable bowel syndrome, and related conditions be classified as "clinical endocannabinoid deficiency syndromes." It also cites research implicating problems with this symptom in schizophrenia, multiple sclerosis, Huntington's disease, some cases of Parkinson's disease, some cases of anorexia, and chronic motion sickness. The growing body of research suggesting that fibromyalgia may involve a deficit in endocannabinoids raises an obvious question: does increasing the amount of cannabinoids in the body help improve function and reduce symptoms? If so, what symptoms would medical marijuana (or synthetic equivalents) help alleviate? A 2012 study looked at the prevalence of marijuana use in fibromyalgia. Researchers found that about 13 percent of participants were using the drug to help relieve their symptoms. Of these, more than 80 percent were using it illegally. Researchers also discovered that marijuana use was more likely in fibromyalgia patients with unstable mental illness. The relationship between marijuana use and mental illness in this group isn't known. Marijuana use also was more prevalent among men, unemployed participants, and those receiving disability payments. However, a 2014 study points out that we need longer-term studies in order to know what the long-term adverse effects could be, as well as the potential risks of misuse and addiction. Medical marijuana is legal in several states. This form of the drug can be smoked, eaten (such as in baked goods), or vaporized. Eaten or vaporized forms may be safer and easier for some people to tolerate. People using marijuana illegally may also be reluctant to tell their healthcare providers about it. This can lead to problems with drug interactions or, in case of a severe negative reaction, cause doctors to misdiagnose the issue. For your own safety, you should always inform your doctor and pharmacist about all drugs you are taking. Lifestyle factors including diet and exercise may also lead to changes in the endocannabinoid system. As with any treatment or management approach, you should talk to your doctor about what the best options are for you. Benyamina A, Reynaud M. La revue du praticien. 2014 Feb;64(2):165-8. (Article in French. Abstract referenced.) Therapeutic use of cannabis derivatives. Fiz J, et al. PLoS One. 2011 Apr 21;6(4):e18440. Cannabis use in patients with fibromyalgia: effect on symptoms relief and health-related quality of life. Lynch ME, Campbell F. British Journal of clinical pharmacology. 2011 Nov;72(5):735-44. Cannabinoids for treatment of chronic non-cancer pain; a systematic review of randomized trials. McPartland JM. Journal of bodywork and movement therapies. 2008 Apr;12(2):169-82. Expression of the endocannabinoid system in fibroblasts and myofascial tissues. McPartland JM, Guy GW, Di Marzo V. PLoS One. 2014 Mar 12;9(3):e89566. Care and feeding of the endocannabinoid system: a systematic review of potential clinical interventions that up regulate the endocannabinoid system. Russo EB. Neuro endocrinology letters. 2004 Feb-Apr;25(1-2):31-9. Clinical endocannabinoid deficiency (CECD): can this concept explain therapeutic benefits of cannabis in migraine, fibromyalgia, irritable bowel syndrome and other treatment-resistant conditions? Smith SC, Wagner MS. Neuor endocrinology letters. 2014;35(3):198-201. Clinical endocannabinoid deficiency (CEC D) revisited: can this concept explain the therapeutic benefits of cannabis in migraine, fibromyalgia, irritable bowel syndrome and other treatment-resistant conditions? Ste-Marie PA, et al. Arthritis care and research. 2012 Aug;64(8):1202-8. Association of herbal cannabis use with negative psychosocial parameters in patients with fibromyalgia. Ware MA, et al. Anesthesia and analgesia. 2010 Feb 1;110(2):604-10. The effects of nabilone on sleep in fibromyalgia: results of a randomized controlled trial. CBD for Fibromyalgia: Is it Effective? Safe? Legal?